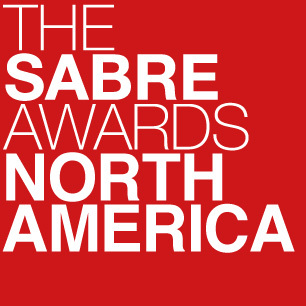 Winners were unveiled at the EMEA SABRE Awards in Amsterdam on 23 May. Analysis of all Finalists across 21 categories can be accessed via the navigation menu to the right or here. Narva — named after the Swedish army victory over a Russian force three times its size — has always embraced its positioning as a challenger brand initially within the financial communications space (from investor relations to IPOs and other transactions to annual and sustainability reporting) and more recently in the broader media relations, public affairs and CSR space (via the 2015 acquisition of consultancy Rewise) — and in the healthcare arena, where the firm bought Mix PR in 2012 and Heart three years later, and in early 2016 hired former social affairs minister Göran Hägglund as a senior advisor. In 2017, meanwhile, the firm expanded to Gothenburg, under the oversight of life sciences head Therese Lange. Under the leadership of managing partners Daniel Bergsten and Johan Molander, Narva's performance reflects that is positioning is paying off, with constant currency growth of 29% taking it to around $9m in fee income, making it the market's fifth-biggest player, and one of its fastest-growing. There were significant new assignments from industrial player Sandvik, IBM and asset manager Amundi, along with growth from such clients as Bausch+Lomb, SAS, Systembolaget, Coop, Allianz and Telia Company. Diplomat Group has a strong heritage in public affairs—a critical part of the Swedish PR business, due to a highly-engaged citizenry—helping clients understand the values, attitudes and politics of Sweden’s opinion leaders. But the group has expanded in new directions recently. The core Diplomat Communications maintains its public affairs focus, with offices in the other Nordic capitals and in Brussels, and has expanded into broader corporate communications, and some financial work. The group experienced a roughly 9% lift in 2017, and grew internally to meet the expanded workload. Diplomat Group launch of a new agency under its umbrella, called Tale, offering content marketing and content management solutions, bringing to four the number of company units. While Diplomat Communications AB maintains its focus on public affairs, that core has been supplemented in recent years with YouMe Agency, which focuses on brand-building with strong visual capabilities; and Repeat Studios, launched in 2016, a digital and social media specialist. Within a year, Repeat doubled nearly doubled its staff. The four brands often work in concert to deliver comprehensive communications solutions to clients—although the firm does not disclose client names as a matter of policy. The firm formerly known as Hallvarsson & Halvarsson had established itself as the Nordic region’s most formidable financial communications specialist before it was sold to Sage Holdings in 2009. It spent the next five years in a kind of purgatory before senior executives Martin Petersson, Anders Halvarsson, Johan Ramsten and Staffan Lindgren bought the business back in 2014 — but in the three years since then the businesses now known as H&H Group have expanded at a very healthy pace, reclaiming their place of prominence in the financial space while diversifying their portfolio — most notably with the February 2016 acquisition of Swedish creative powerhouse Jung Relations. That deal was followed up in 2017 by the acquisition of five more agencies (from the publicly-listed ICTA group), as H&H solidified its aim to become a home for entrepreneurs, who will be allowed to maintain the spirit that built their firms while benefiting from the support of a larger holding company. 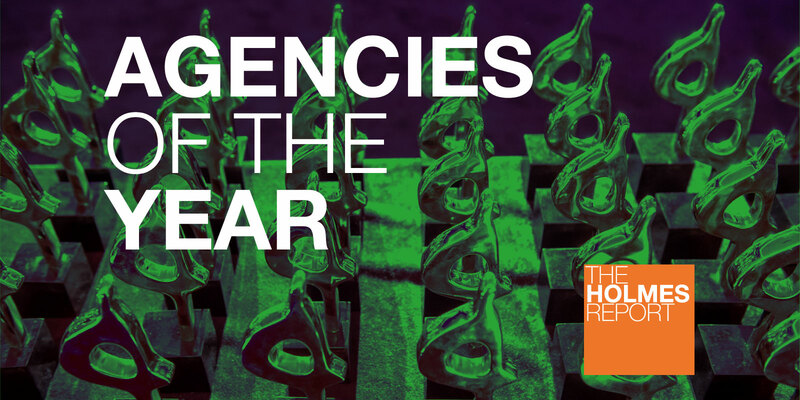 There are now 12 firms in the family — including Springtime, digital specialists Creo, risk advisory firm Consilio, Shanghai creative shop Tomorrow China and and brand agency Identz —and H&H leadership believes it can add two or three new firms each year, and expand beyond the Nordic region. Group fees grew by a very impressive 25% in constant currency terms last year, ending up at around $46 million, enough to rank among the top 50 PR firms in the world. Four years in, it looks like Weber Shandwick’s 2014 acquisition of Swedish powerhouse Prime is going to go down as one of the most successful mergers in an industry where the success rate is well below 50-50. Both parties appear to be stronger today when the deal went through, with senior Prime people occupying important positions throughout the parent company: Jonas Bodin as vice president of creative strategy in Weber’s US operations; Jonas Palmqvist recently named chief operating officer for EMEA; and Charlotte Witte now leading client experience in the region. As for Prime, it enjoyed it second consecutive year of 10%-plus growth in 2017, winning a seven-figure assignment from KTH Royal Institute of Technology and a re-pitch for the City of Stockholm, spearheading global work for Ericsson, and expanding its partnerships with clients such as IKEA and Volvo. In more and more cases— Tena, Essity, Cervera, Tele2 and Node Pole—Prime now serves in a lead agency role. And of course it continues to produce first-rate creative work: the McDonald’s “Serve Your County” campaign tapped into a national conversation about military service to turn the spotlight on the restaurant chain’s employer brand; the The Global Village, Järvaveckan, is a new political platform designed to reduce the distance between politicians and ordinary citizens and create better outcomes. In 2017, Rud Pedersen which saw its fee income rise by 69% to $23.5m, resulting from the public affairs firm’s rapid expansion since 2014. On top of the organic growth that has benefited the agency since its inception, Rud Pedersen in those few years consolidated operations in Finland and Norway, created a Brussels office, launched the agency King Street PR and acquired Welcom, a multidisciplinary, hybrid agency. With offices in Sweden, Norway, Denmark, Finland and Belgium, Rud Pedersen caters to the breadth of sectors — infrastructure and transportation, defense, healthcare, consumer goods, energy, real estate and financial among them. The firm, as a practice, doesn’t disclose clients.